The European Union contains about 7% of the world's population and represents approximately 20% of the global gross domestic product (GDP), which makes it one of the most important investment destinations in the world. From France's Sanofi SA (NYSE: SNY) to Germany's Deutsche Bank AG (NYSE: DB), hundreds of the world's largest companies are housed in Europe. International investors looking for easy exposure to these markets may want to invest in European ETFs. European ETFs offer simplicity and diversification without many of the fees associated with mutual funds. By purchasing a single security, international investors can have exposure to hundreds of different companies located throughout Europe or exposure to specific countries or industries. In this article, we'll take a look at the benefits and risks of European ETFs and some popular options. Europe may be considered one of the safest economic regions in the world, but the crisis in 2009 illustrated that it still carries great risk. And while Eastern Europe may have growth potential, very few international investors would buy into Western Europe for its growth prospects. But despite these concerns, investing in European ETFs can still provide a key role in any portfolio. Familiarity: Europe houses some of the most recognizable companies in the world, which investing in those companies a lot more comfortable for many U.S. investors. Diversification: Europe is a very economically-diverse region, which makes European ETFs ideal for diversifying a primarily U.S.-based stock portfolio without the risk of emerging markets. Low Risk: Aside from its rare times of crisis, Europe is generally considered to be a low-risk region relative to emerging markets in Latin America or Asia. Contagion: The European Union's structure makes its members highly dependent on each other, which creates the possibility of contagion when a crisis arises. 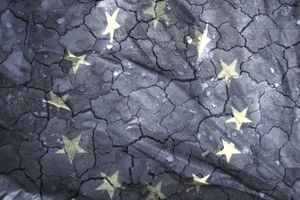 Slow Growth: Many countries in Western Europe face the prospects of slower growth, which makes them less attractive for risk-seeking investors. European ETFs can be divided into many different categories, including broad market ETFs, regional ETFs, and country-specific ETFs. There are also many other options, such as ETFs based on asset classes, such as the WisdomTree Europe SmallCap Dividend Fund (NYSE: DFE). Below, we'll take a look at three of the most popular ETFs from each of these categories. European ETFs may offer the easiest way to gain exposure to European markets, but they aren't the only way to buy into the region. International investors can also purchase American Depository Receipts (ADRs) or buy stocks directly through foreign stock brokers. However, there are several things that investors should consider before taking these routes. Buying and selling stock on foreign stock exchanges can involve some tricky tax calculations and legal considerations. Researching individual foreign stocks can also prove difficult with foreign languages to translate and foreign currencies to convert. And while ADRs solve some of these problems, they are usually only available for very large foreign companies and tend to be somewhat illiquid at times. European ETFs are generally considered to be the easiest way to invest in Europe, especially when compared to buying ADRs or foreign stocks directly. European ETFs are a great way to diversify any stock portfolio with relatively low-risk investments (provided it's not a time of crisis). European ETFs aren't perfect for everyone. They are subject to contagion risks, face slower growth rates, and, in some cases, may not be volatile enough for younger investors.